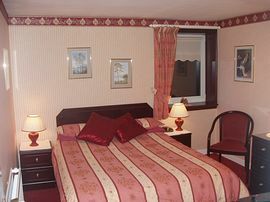 The ten recently decorated rooms have either en-suite(8) or private(2) facilities. 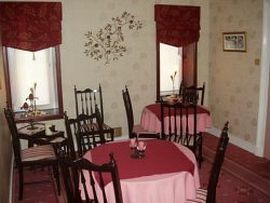 Each room has a tea/coffee tray,Freeview flat screen television and a clock/radio. Fresh towels are provided daily and there is central heating and double glazing throughout. 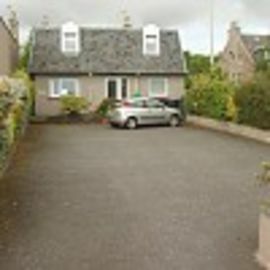 There is a private car park at the rear of the house and complimentary Internet WiFi connection is provided, for use with personal devices. For the comfort and health of the guests The Jays operated a non-smoking policy throughout. 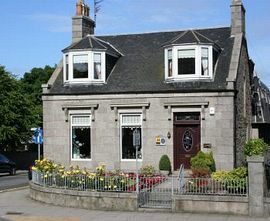 The Jays is located near Aberdeen University, AECC, Sports Village, Sea Beach leisure complex and the city centre. The Jays is ideally situated for business or leisure pursuits. Alice and George Jennings, the owners, have been running The Jays for the past 32 years and take pride in the service and facilities that they provide for their guests. Special Diets Provision: Special diets are catered for. Vegetarian and Vegan. 'The epitome of professionalism. Quick, efficient, courteous and friendly. The Hotels could learn a lot.' - M. Chetwynd, Sydney, Australia. 'Very clean, comfortable, nice and friendly.' - Mr.& Mrs Banning, USA. 'Super place, great hosts.' - Mr.& Mrs Hermann, Canada. 'I have been to visit Alice in Wonderland!! A truly superb guest house.' - David Corin, Salisbury, England. 'First class in every way. Lovely couple.' - Ailsa & David Farquhar, Scotland. 'Excellent a real 'Home from home' - Mavis & Jonathan Courtney, Armagh, N.I. 'As Tina Turner says 'Simply the best.' - Robbie Cameron, Fort William, Scotland. 'Many thanks for your wonderful Scottish hospitality.' - David Dysart-DeLand, Florida. 'Very high standard. Very well decorated. Very comfortable,friendly and homely.' - M. Oliver, Newcastle, England. 'Staying at the Jays means repose of body and reinforcement of spirit.' - Jan Narston, Netherlands. 'Excellent accommodation. Super hosts.' - Alex. & Sheila Morris, NSW, Australia. 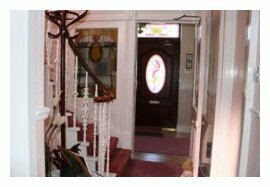 'The best B&B that I stayed in, in Scotland.' - Fernando, Spain. 'My lungs thank you. I (almost) stopped smoking.' - Jean-Luc, Italy. 'Very, very nice and enjoyed our stay a lot. Will always remember the nice place and the kind people that you are.' - Celine & Gilles Deahene, Quebec, Canada. Turn right on leaving and turn left at roundabout(Market Street). Turn right onto Union Street and turn left at the foot, onto King Street. The Jays is situated approximately ¾ of a mile on the right hand side from this junction. Follow signs on A96 for Aberdeen. at the junction with Pittodrie Street - approx. 1/2 mile.